Since 1936, Keeneland Race Course in Lexington, Kentucky, has represented the gentility and excitement of Thoroughbred horse racing. To central Kentuckians, it is an enduring part of their culture and a fun place for all generations. For horsemen from all over the world, Keeneland is also an honest marketplace for the best Thoroughbred racing and breeding bloodstock to be found. 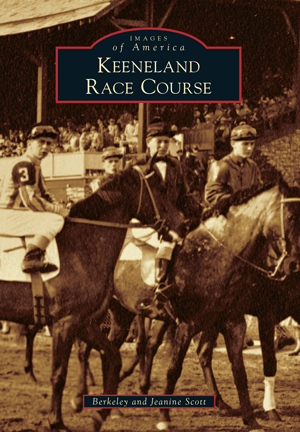 Keeneland's world-class library is the repository of the largest collection of Thoroughbred racing information in the world; all the images in this book are from its vast collection. The book opens with photographs of the Kentucky Association racetrack that came before Keeneland and continues with images of the people who made Keeneland possible: jockeys, trainers, grooms, exercise riders, owners, track management, track workers, customers, and others. Photographs in the book also capture famous horses from the past, including Iron Leige, Round Table, Seabiscuit, Man o' War, Nashua, Whirlaway, Citation, and Bull Lea.